LM wore a vintage 50's tap dance costume with matching hair piece I bought off ebay a couple of months ago. It is pretty much her uniform of choice these days - if you ever happen to wonder what she is wearing at any given moment (because why wouldn't you? ), there is a very good chance it is this with ballet flats. 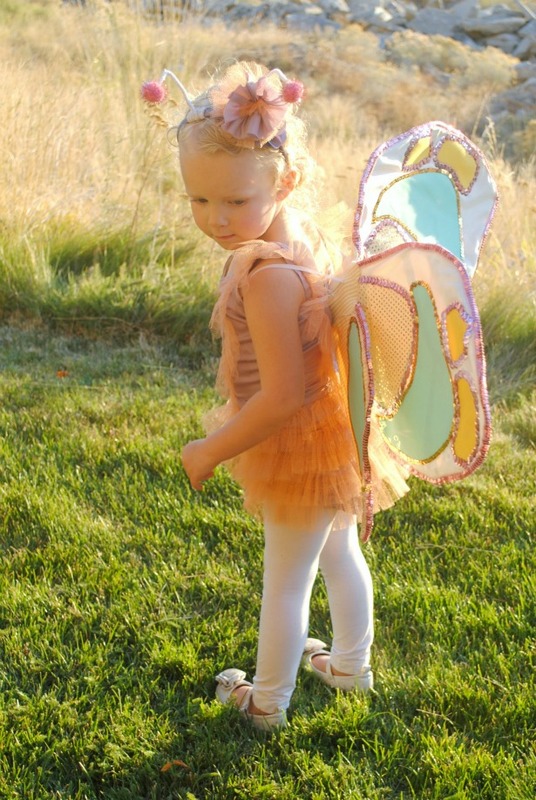 I found her butterfly wings at the thrift store, recovered them, and added a bunch of sparkle per her request. I know I could have just bought her new ones, but I want to make at least part of her costume every year if I can. It was tedious work sewing on the sequins, but worth it when she gave me a big hug, and said they were 'boo-tiful' (unintentional Halloween joke, that's really how she says it). Lark's entire costume was handmade by me last minute that afternoon. Considering my time crunch I am quite proud of how it turned out. If you look closely you can see the little legs down the sides, they kind of got out shown by the fuzzy stripes. I was going to make her a little pink hood, but ran out of time... no procrastinating next year! (not making any promises). Husband and I didn't end up in costumes and that's okay. Sometimes you just have to not worry about less important things so the more important things, like feeding your family dinner, and trick-or-treating get done. LM would only say 'trick or treat!' to the neighbors she recognized, was done after knocking on about 15 doors, and was happy to go to sleep after a candy bedtime snack. Lark chewed on a candy bar (in wrapper). We are calling it a success! ah, adorable as always! and you look great stace! Oh my! 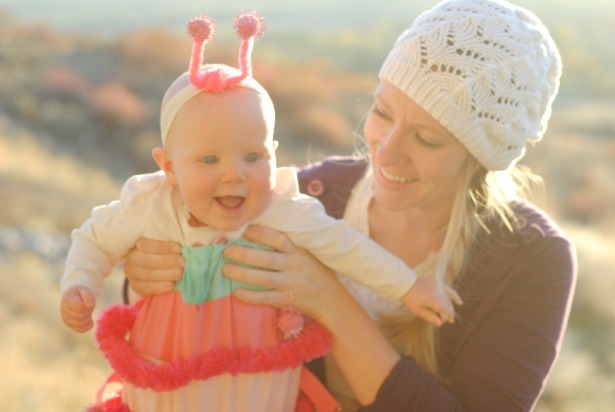 These may be the cutest and most beautiful baby and child costume I've ever seen! Nice work mama! 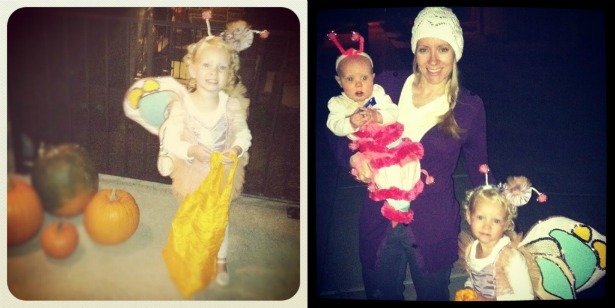 Your girls look so magical... :D Goodness, LM and Lark are becoming so identical! I'm looking forward to seeing what you make them next year! You did such a wonderful, loving job. 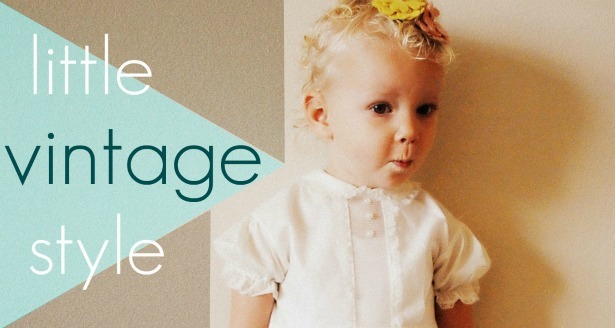 oh, that vintage dance costume is magical! And your little caterpillar is adorable! oh the cute is killing me! your wee girls are adorable and their costumes so lovely. they put my efforts to shame I am afraid. Next year I am totally planning on stealing some of your halloween ideas. 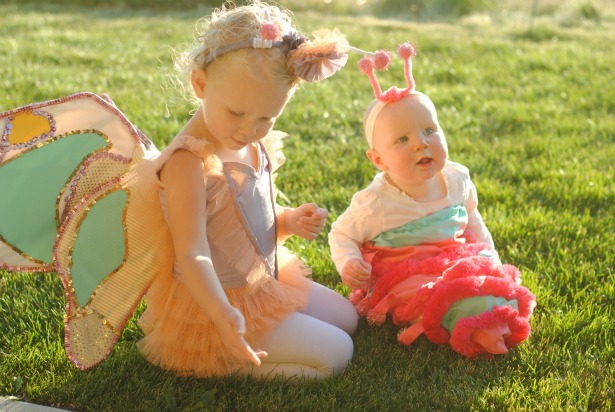 I love the costumes on your little girls! Great job! Oops, my first link (#10) sent to the wrong post but couldn't delete? 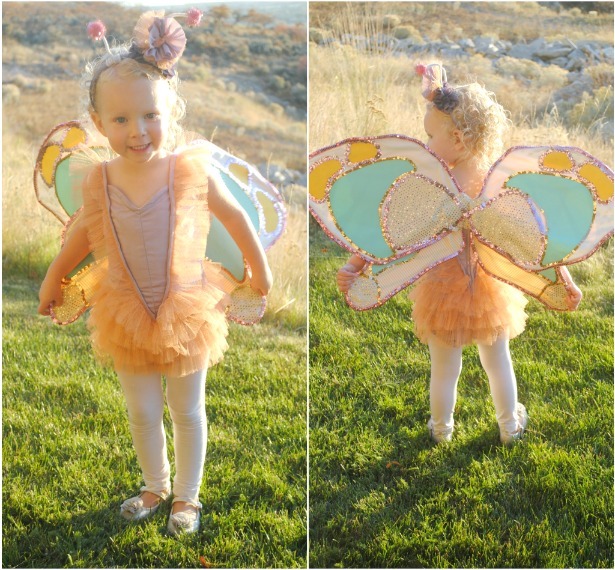 those are the cutest costumes ever!! oh my goodness... both costumes are just precious! i especially love lark's costume! great job! 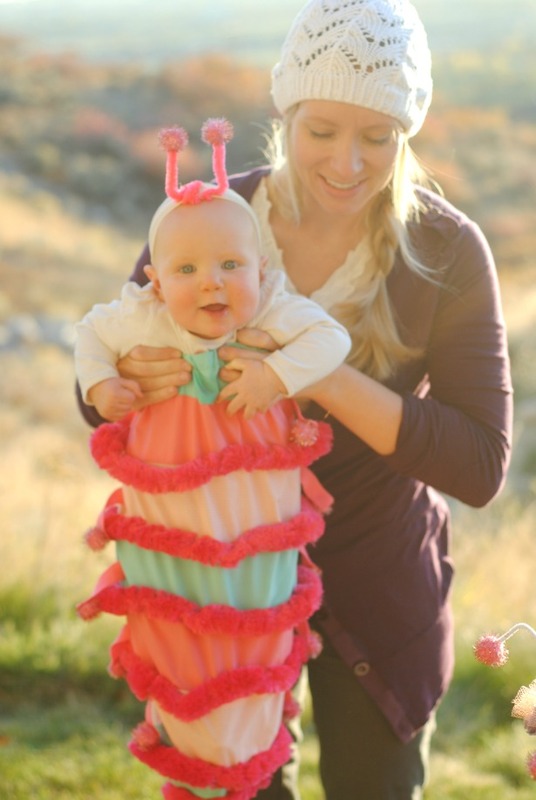 how exactly did you make the caterpillar costume? !its so cute!